Discussion in 'Phone Specs/Reviews and Price' started by yomitech.com, Nov 23, 2016. Gionee is here again with yet another monster device which packs both great specification and also a massive 7,000MaH battery. 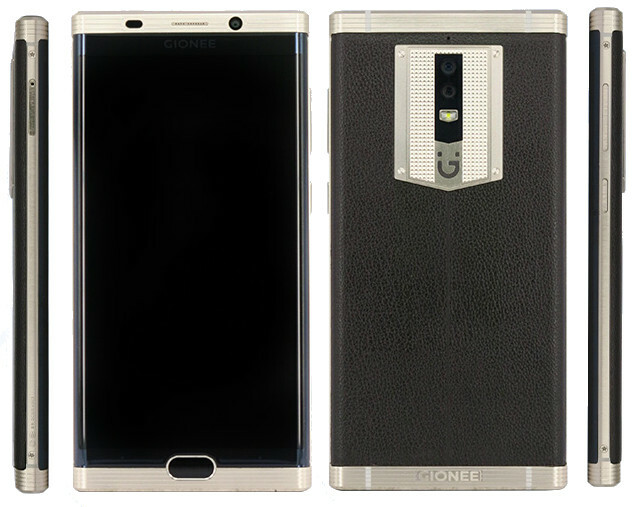 The device which is called Gionee M2017 is said to hit the market next year 2017. The Gionee M2017 features a 5.7-inch AMOLED capacitive touch screen display with a resolution of 1440 x 2560 and 373 PPI. It is powered by MediaTek Helio P10 octa-core processor with a clock speed of 1.95GHz and a dual-core Mali-T860 GPU. It comes with a 6GB RAM and although it doesn't support an external sdcard, Gionee got you covered with 128GB of internal storage. The smartphone features a 12MP + 13MP dual rear camera setup and an 8MP front facing camera. It has a fingerprint scanner which is embedded in the home button and it also runs on android version 6.0 marshmallow. It Measures at 155.2×77.6×10.65mm and weighs in at 230g, just as I said earlier the M2017 packs in a massive 7,000mAh battery. There's currently no information on the device's pricing and and also when it will be made available, but it's definitely going to be sometime next year. RUSH ! RUSH !! RUSH!!! Be Among ​TheFirst​ To Take POSITION. Kindly use the referral email (Chuckeey4love@gmail.com) to enable any assistance required. This one no go blow?